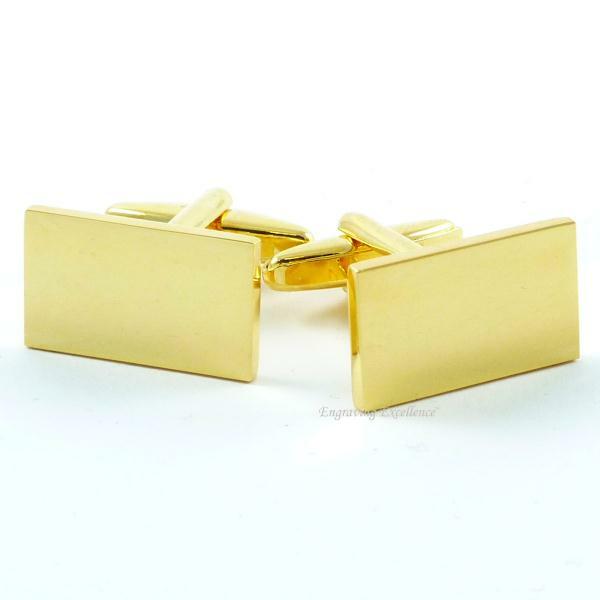 A pair of gold plated cufflinks. A very attractive and smart finish, they certainly look like a much more expensive item. They are the perfect accompaniment to any smart or formal shirt. Additionally, they are supplied in a gold colour organza bag to make presenting them as a gift even more special. 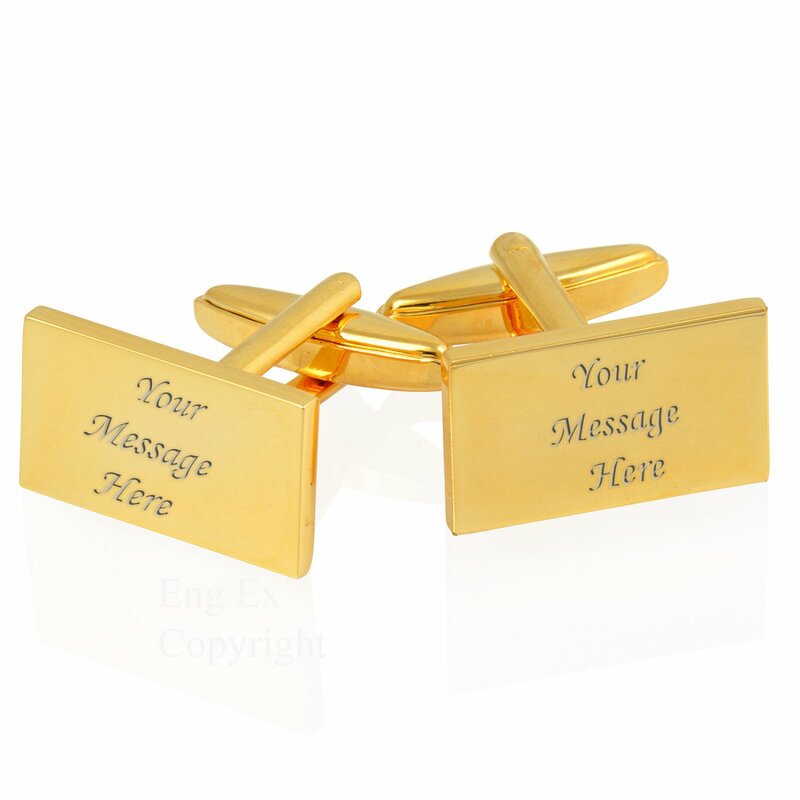 You get free engraving on these cufflinks - see the section below for more details. 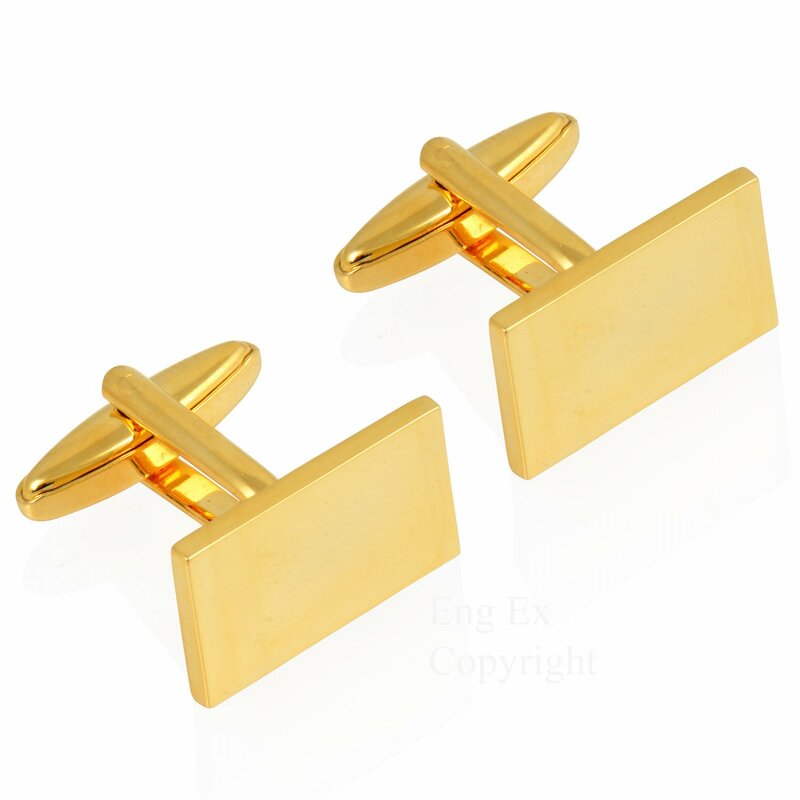 On these cuff links we engrave up to 3 lines of 5 characters each (including spaces).